In a society increasingly characterized by the needs of businesses and consumers, and a growing number of issues relating to modern technologies, MASSA Law Firm provides a point of reference for all those looking to best protect their interests, and a focus on competent and professional legal support. Owner of the firm, Rocco Gianluca MASSA, is a solicitor with over ten years’ professional experience in national and international issues and offences between businesses and private individuals. Registered at the Foggia Bar Association, Rocco Gianluca MASSA has written legal publications and countless articles published on renowned web pages and portals. 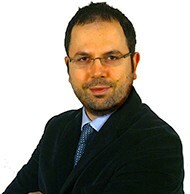 Already a teacher, speaker and chairman for training courses and conferences in civil law, commercial law, international legislation, industrial law, Internet law and new computer technologies law, among his various qualifications MASSA has a Master of Science in Computer Technologies Law from the Court of Bari and an international level TOLES Higher legal English certificate. MASSA Law Firm provides support both in and out of court to private individuals, professionals, companies and public bodies both in and abroad. Professionalism, experience and skills gained in specific areas of law such as international and new computer technologies law, allow the firm to offer its clients versatile and comprehensive multilingual legal assistance ranging from the traditional to the more modern fields of law. In 2012 MASSA Law Firm was also a cofounder of FLIEGER & MASSA Attorneys – in a collaboration that ran until 2015 – a cross-border legal support network for civil and commercial issues between private individuals and companies in Italy, Belgium, Holland and Luxembourg (BeNeLux). The firm has been a member of the Belgian-Italian Chamber of Commerce since 2015 and has also opened an independent office in Brussels. In 2017, the firm created an independent international legal network called MASSA Legal Affairs, an important cross-border legal cooperation project involving legal partners from all over the world.